Sunshine Stars FC Supporters Club has been advised to be of good behaviour at all times and be good ambassadors of the club and the league even outside football events. 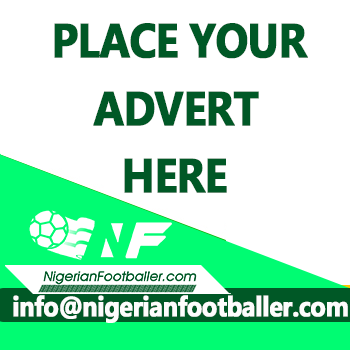 The admonition came from the League Management Company (LMC) following a letter of apology from the club sequel to the warning issued the Supporters Club in the aftermath of their unruly conduct during the match day 29 fixture in Akure against Nasarawa United. In response to their show of remorse through the letter of apology, the LMC Chairman, Mallam Shehu Dikko wrote, “We are pleased to accept your apology for the recent unruly behavior of some members of your Supporters’ Club, as expressed in your letter”. The LMC said it recognizes the immense value and potential of organized supporters clubs to the league brand, “hence our desire for proper conduct at all times. It is our desire to see the game develop in a family-friendly environment, where due respect is accorded to all involved in the game”. The LMC recently commended the Kano State Football Association and Kano Pillars management for their role in the arrest and successful prosecution of an unruly fan and urged all stakeholders to actively be part of the campaign to create friendly and peaceful atmosphere at league venues. “Football is a platform for building friendship and camaraderie and the LMC will continue to encourage players, club officials and the fans to actively promote this objective to evolve one big family irrespective of club loyalty and affiliation”, the LMC stated.